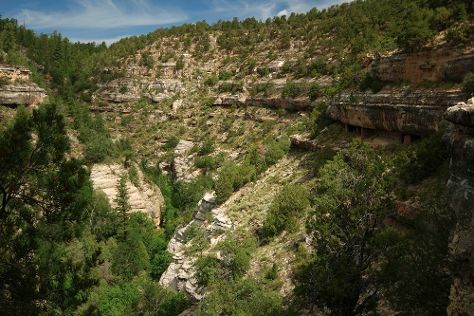 Get some cultural insight at Walnut Canyon National Monument and Chapel of the Holy Cross. Wupatki National Monument and Montezuma Castle National Monument will appeal to history buffs. Explore the numerous day-trip ideas around Sedona: Painted Desert (in Petrified Forest National Park), Meteor Crater (in Winslow) and Williams (Bearizona Wildlife Park & Grand Canyon Wine Company). The adventure continues: explore the striking landscape at Cathedral Rock, tour the pleasant surroundings at Devil's Bridge Trail, relax and rejuvenate at some of the top local wellness centers, and immerse yourself in nature at Slide Rock State Park. To see maps, traveler tips, photos, and tourist information, read Sedona trip itinerary planning website . Expect a daytime high around 94°F in June, and nighttime lows around 68°F. Wrap up your sightseeing on the 29th (Sat) to allow time to travel back home.